EAR Source Components use innovative, unique and exceptionally effective technology and design to provide a source signal worthy of EAR amplification and EAR loudspeaker projection. The Disc Master Turntable brings together novel engineering and construction to solve analog challenges and provide outstanding analog playback. 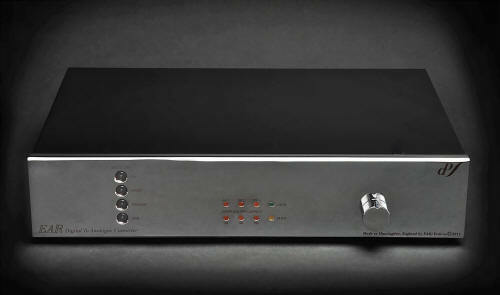 The EAR Acute 3 CD Player uses Wolfson DAC to upsample to 24-bit / 192kHz and, uniquely, employs analog filters and controls. The EAR Acute DAC completes the EAR Source Component line with 24-bit / 192kHz upsampling and sufficient gain to directly drive any power amp. 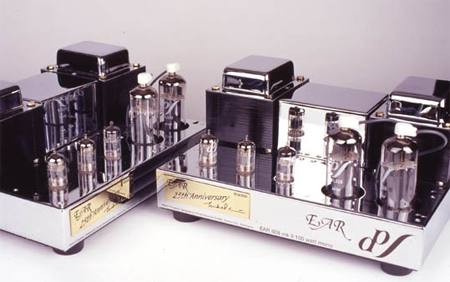 EAR Vacuum Tube Electronics combine time-tested tube technology with feats of engineering advancement that only Tim de Paravicini can bring to the state of the tube electronic art. 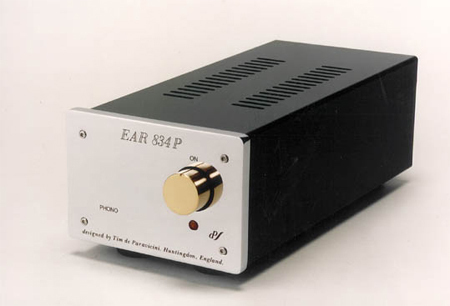 EAR offers a range of tubed Integrated Amplifiers, Power Amplifiers, Preamplifiers, plus a tube Phono Stage and Headphone Amp. 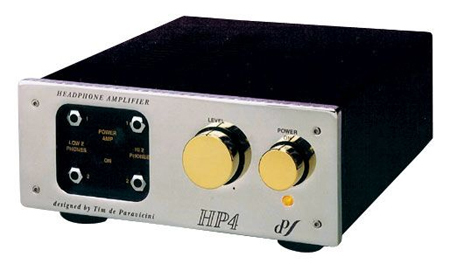 Tim de Paravicini developed and built a complete line of EAR Solid-State Electronics: EAR 834T Integrated Amplifier, EAR 324 Phono Stage, EAR 312 Control Centre, and EAR M100 A Power Amplifiers.